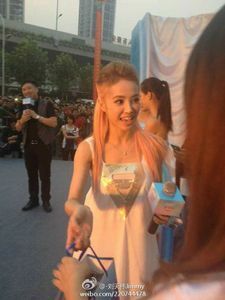 Jolin personally gave Whisper products to 30 lucky people! It seems that the bags also contained a special signed version of MUSE? Several people who attended the event shared pictures of this version. Click on the picture below to access pictures of the event itself. 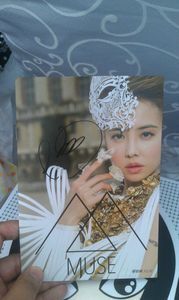 Since we're talking about Jolin's endorsements, she has a new one with the Chinese online game "Noah's Legend/诺亚传说". Dr Jolin is also its theme song!